How many of you like to day dream? I know, I sure love day dreaming! Some may think day dreaming is wasting time, but I like to think of it as exploring the possibilities. What does your mind want to accomplish when it has no boundaries or limits? What does your life look like if it can look like anything you want? 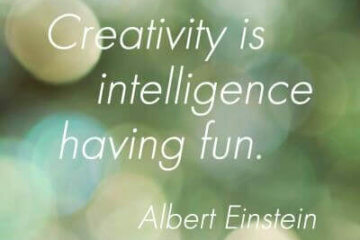 It can get pretty amazing if you let your mind go wild! The thing is, the first step in setting life goals, heck any goal is to imagine it. Whose to say your day dreams can't be real? 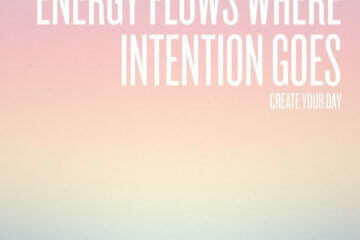 All that stands between you and your day dream is a plan to make it happen. So don't quit. 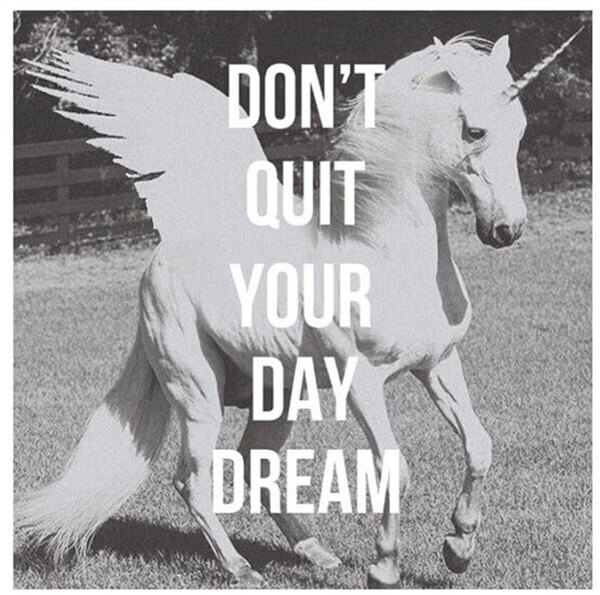 Don't give up on your day dreams, because while they may not entail riding pegacorns (or maybe they do!) your day dreams just might have a way of making themselves come true. I totally love this quote, and would be a much happier blogger if I could go everywhere on a pegacorn! The hardest thing about daydreams is writing them all down and sorting out which ones make sense and which ones are off brand/too big of a stretch/not a fit for your niche. Then if it’s something you are really excited about finding a way to fit it in! Therefore, obviously, keep on dreaming. Even if it’s about that sci-fi book you’re reading, or how you one day imagine living in a big old mansion with one of those gigantic pools with overflowing water. You gotta start somewhere! This was amazing! Thank you really needed to hear this! !